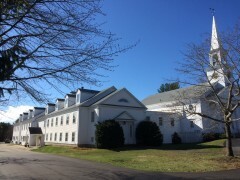 Rye Congregational Church has served as a central meeting house for the Rye community since its dedication in 1726. We are proud to continue this tradition and provide a gathering place for many area groups. Please contact Pam Mondschein in the Church office (964-4061 or worship@ryecc.com.) if your community group is interested in using our facilities. Click here to see a list of community groups currently using RCC facilities. Click here if you are planning a baptism. Click here if you are looking for a venue for a funeral or memorial service.